Shapes & Solid Rugs: Shop From Our Great Selection! 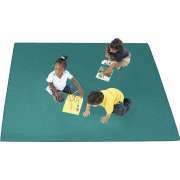 Which classroom rugs are the most versatile? 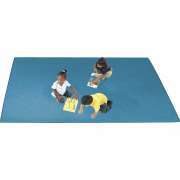 Solid rugs for classrooms create a warmer feel and a comfortable place for little ones to sit on the floor. 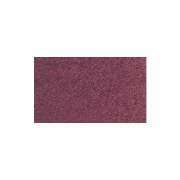 Because they are just one color, they can easily fit in with many types of decor and can even be used for classrooms where older students are learning. 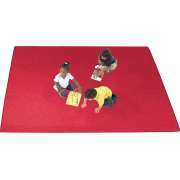 If you don’t want to commit to one pattern but still want the benefits of a classroom carpet, solid rugs are a great option. 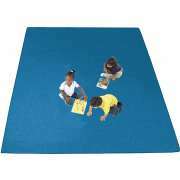 For those who prefer simple patterns that are still vibrant and fun, shape rugs for classrooms will make a good choice. They can be used for all sorts of classroom activities and have repetitive designs which are less likely to distract students during lessons. 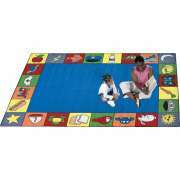 With a variety of shapes and sizes, they can fit in almost any learning space. 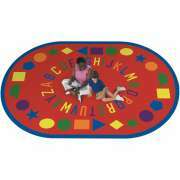 Should you get a solid classroom rug or one with a pattern? While a lot of educators like bright designs and fun graphics, there are many benefits to choosing solid rugs for classrooms. Rather than having to worry about choosing a design you will still like in a few years, you just need to think about a color that can match or blend in with most spaces. With so many colorful posters, toys and furniture around the learning space, you don’t need the carpet to be exceptionally exciting. 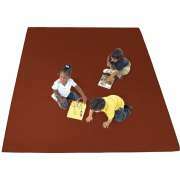 When you choose a solid carpet for your classroom, you get flexibility and comfort. You can add a new color to the learning space or use a color that is related to the theme of the room. 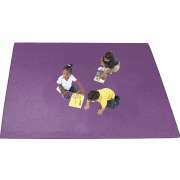 It is hard to know exactly where you might want to put a carpet in the coming years, and a solid color can be appropriate in any classroom from early childhood all the way to high school. 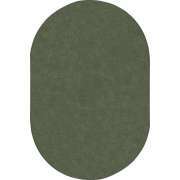 What color classroom rug should I get? 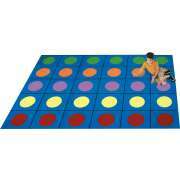 All of the colors we offer will look nice in a classroom, it’s just a matter of choosing what you prefer. 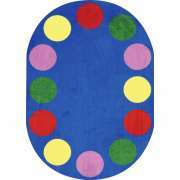 We have square, rectangle, oval and circle carpets in a variety of hues, so you can get a good fit for your space. It is important to choose a shape and color that will fit well and look nice in lots of different places. Solid rugs never go out of style so they are a great long-term investment. 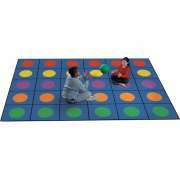 They can be used to separate or designate special learning areas such as a reading corner, circle time space and more. 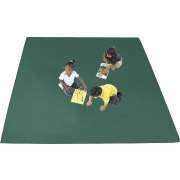 What kinds of shape rugs will look nice in my classroom? 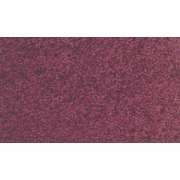 All of the shape rugs we offer have bright and attractive patterns. 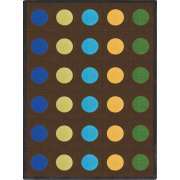 If you want a rug with a design that does not focus on one specific subject or area, shapes are a good choice. 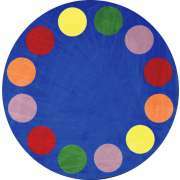 There are lots of activities that can be based around these designs such as asking little ones to count all of the circles in one color or to find two shapes that are the same. 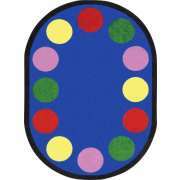 You can also divide students into groups based on what shapes they are sitting on.